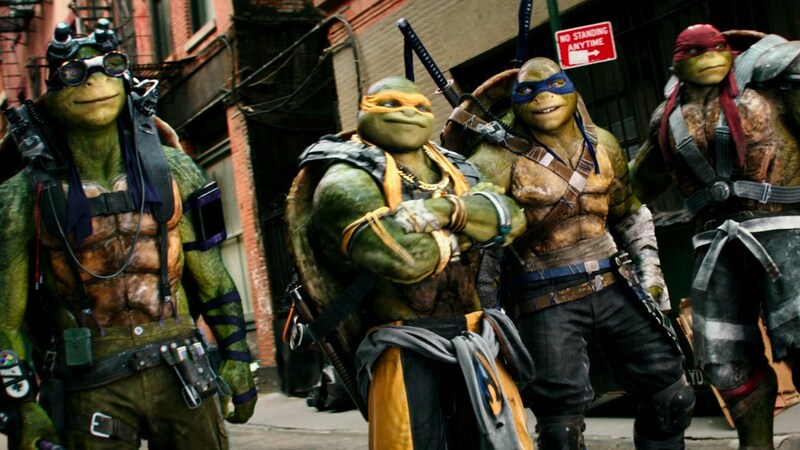 As far as new iterations of well known characters goes, 2014's Teenage Mutant Ninja Turtles was a mixed bag. The title characters managed to be the best thing about it, while Megan Fox's blank performance as April O'Neil was one of the worse elements. As the heroes in a half-shell take centre stage over April, one can't help but wonder if the filmmakers welcomed feedback over the proceeding picture. Allowing cameraman Vern (Will Arnett) to take the credit for saving the day in the previous film, the four turtle brothers continue acting as protectors in their city, while working in the shadows. As the Shredder (Brian Tee) is broken out of prison, they must contend with henchmen Bebop and Rocksteady (Gary Anthony Williams & Seamus), searching for components of a machine to bring forth a new nemesis: the notorious Krang (Brad Garrett). It may feel as though we're unable to get a Turtles film without infighting between them, it can't be denied how these characters share wonderful chemistry with one another. Through the good moments and the bad, the big worries and the senseless bickering, these characters feel like real brothers, and they're brought to life all the more by the great performances on-hand. Director Dave Greens aim seems to be capturing the wacky tone which inhabited the original animated series, and in that regards, it's triumphant. Part of this aim includes bringing popular characters to the big screen, to mixed results. Returning cast members Megan Fox and Will Arnett grate upon appearing onscreen, so it's a relief to see their roles reduced. New addition Stephen Amell acts a bit too goofy as the hockey loving ex-officer, Casey Jones, but is clearly having a ball. This makes quite the contrast to Laura Linney, who's visibly bored in her thankless role. The picture makes quite the record, by having the biggest waste of The Shredder seen in any of the feature films he's appeared in. The characters serves no purpose beyond acting as the bridge between the Turtles and all these new characters. Tyler Perry delivers a fun turn as scientist Baxter Stockman, while Brittany Ishibashi's Kurai could have easily been cut from the film. Bebop and Rocksteady act as the muscle to engage in battle with the heroes, managing to veer between somewhat fun and Transformers: Revenge of the Fallen levels of annoying. Brad Garrett is clearly game for his turn as Krang, but could have been woven into the plot in a less hackneyed way. As far as the battles go, the finale comes off as rather limp. This is especially true when compared with an earlier set-piece in Brazil, which proves to be wholly engaging and boasts massive amounts of fun. Easily the highpoint, elevating things above the standard McGuffin search. 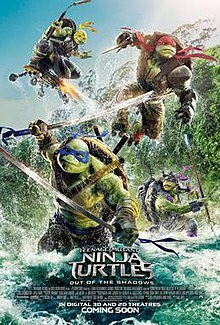 While beset with its own problems, Teenage Mutant Ninja Turtles: Out of the Shadows acts as an improvement to its predecessor. A third film would be welcome, especially if references to Bebop & Rocksteady's penises are left out this time.